Can you believe it’s Halloween already? I’ve been looking forward to this day for so long (we bought costumes back in mid-September) and yet I always feel rushed to prepare. Even more fun? Our family is dressing up this year, Peter Pan-themed! J.M. Barrie would be so proud. I shall be Tiger Lily! Have a lovely and safe Halloween, all! 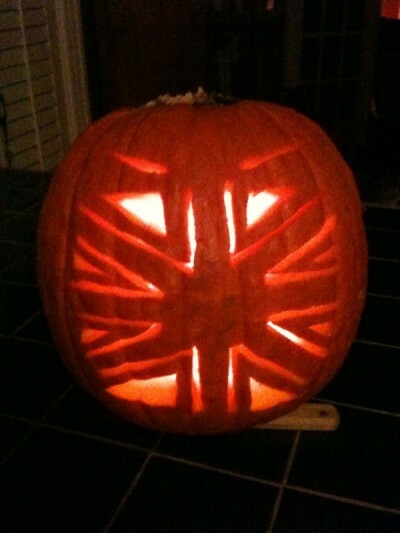 Posted on 31, October 2012, in British and tagged costume, Halloween, jack o'lantern, Peter Pan, pumpkin, trick-or-treat, union jack. Bookmark the permalink. Leave a comment.